Are you considering a reverse mortgage loan? Reverse mortgages offer homeowners age 62 and older an opportunity to convert their current home equity into cash. According to the American Association of Retired Persons (AARP), more than 660,000 reverse mortgages were issued to seniors between 1990 and 2010. 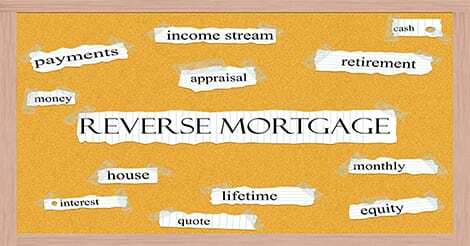 How Can A Reverse Mortgage Loan Help Me? Reverse mortgages can be life-changing for seniors with substantial home equity and limited monthly income. Seniors can turn equity into cash and use it to pay off their home loans. If the mortgage is already paid off, seniors can convert all of their equity into cash and use the money however they please. Unlike other loans, reverse mortgages do not require that borrowers make monthly repayments. Borrowers are required to live in the house, pay homeowners’ insurance and property taxes, keep the home in good repair and use the house as a primary residence. As long as these criteria are met, a reverse mortgage loan will not come due. What’s The Best Way To Benefit From A Reverse Mortgage? For seniors who are struggling to make ends meet, a reverse mortgage can increase income and decrease debt. Instead of making monthly mortgage payments on your home loan and living on the money that’s left over, you can get a reverse mortgage, pay off your home loan, eliminate monthly mortgage payments and increase your disposable income. By converting home equity into cash, seniors on fixed incomes who are barely getting by can use the cash to create a more comfortable and financially secure lifestyle. How Much Will I Pay For A Reverse Mortgage Loan? Terms for reverse mortgage loans can differ greatly. Depending on the lender, these loans can be expensive, and they sometimes come with some degree of risk. If you have substantial home equity along with other assets, and your budget allows you to make monthly mortgage payments without financial hardship, the cost of a reverse mortgage would not be worthwhile. On the other hand, if you are a senior with substantial home equity but limited income, the costs would be worth paying because the loan will give you a more comfortable lifestyle. Regardless of the type of loan you choose, there will be closing costs just as there would be with a traditional mortgage, and reverse mortgage loans accrue interest just like regular mortgages. The biggest difference between traditional and reverse mortgages is that you won’t have to make monthly repayments to the lender. If the home is your primary residence and you are keeping it in good repair and paying property taxes and homeowners’ insurance, you will not have to make any payments on the reverse mortgage. Which Type Of Loan Would Be Best For Me? Home Equity Conversion Mortgages (HECMs) are the most popular reverse mortgages. There are also single purpose reverse mortgages and private proprietary reverse mortgages. HECMs are insured by the Federal Housing Administration (FHA), and they cost less than loans offered by private proprietary reverse mortgage companies. Although HECM loans are the most popular, single purpose loans are the cheapest. However, they can only be used to pay off property taxes or to make repairs on your home. If you need pricey home repairs or owe more than you can pay in property taxes, the single purpose loan would give you what you need at the lowest possible price. Your loan amount will depend on the amount of your home equity, the prevailing interest rates and your age. You can get your reverse mortgage loan in a one-time payment, in a limited line of credit or in monthly payments. 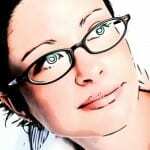 What Criteria Must I Meet To Qualify For A Loan? Your FICO score has no impact on whether or not you can get a reverse mortgage. There are no credit checks, no income requirements, and instead of making monthly payments to the lender, the lender makes monthly payments to you. There are no income or credit requirements with reverse mortgages because when the homeowner sells, dies or moves out, the money that the house sells for will go to the lender to cover the loan amount. HECMs are insured by the FHA, so if the selling price of the property is not enough to cover the balance of the loan, the FHA reimburses the lender for the difference. How Is The Loan Disbursed To The Borrower? You can collect the entire loan amount at closing, opt for monthly payments over a certain number of years, or create your own line of credit up to a predetermined amount. You can also use a combination of these three options to create a situation that works well for you. Are There Any Hidden Costs In A Reverse Mortgage? Borrowers are required to keep current with homeowners’ insurance and property taxes. They must also ensure that the property remains in good repair. If a borrower fails to do these things, the loan will come due immediately. Before you take out a reverse mortgage loan, ask yourself whether you can afford these costs for the duration. Many borrowers establish a reserve fund at closing to be used exclusively for these expenses. How Am I Protected With A Reverse Mortgage Loan? When you have a reverse mortgage that’s insured by the federal government, you and the lender will be protected regardless of what happens in the housing market. If, after you move, your home cannot be sold at a price that’s sufficient to pay off the loan, the government will reimburse the lender for the shortfall. This protects both you and your heirs, especially if the housing market should crash. On the other hand, if your home has appreciated in value and the selling price exceeds the amount of the loan, you and your heirs will receive the full amount of equity that remains after the loan is paid off. Is The Income From A Reverse Mortgage Taxable? Income from a reverse mortgage is generally not taxed. That’s because the funds are considered equity income rather than earned income. The older you are, the more money you can get with a reverse mortgage. Your loan amount will also be determined by prevailing interest rates and by the current market value of your home. The lower the prevailing interest rates and the higher the current market value of your home, the more money you are likely to receive. Homes that qualify for loans include traditional single family homes, duplexes, condominiums and town houses. Mobile homes and trailers do not qualify.